Most of the mobile carriers nowadays have pre-installed programs or softwares that prohibits mobile devices to be used on another carrier. So, if you plan to switch carriers using the same mobile device you need to get a SIM Unlock code. And just like most carriers, T-Mobile also programmed their mobile phones this way. Let’s explore how you can unlock your mobile device through the guidelines we will discuss below. Make sure the mobile phone you wish to use with another carrier is compatible with their network. Take note that even if you find your phone model on their website, phones/mobile devices purchased from T-Mobile has specific version numbers- that means some of your phone’s functionality/features may or may not work fully on the network you want to switch to. Verizon and Sprint uses CDMA technology, while AT&T and T-Mobile use GSM technology for their networks. You can’t use a GSM phone on a CDMA network, and likewise, a CDMA phone can’t be use on a GSM network. Do not confuse yourself on a CDMA phone with a sim card slot. 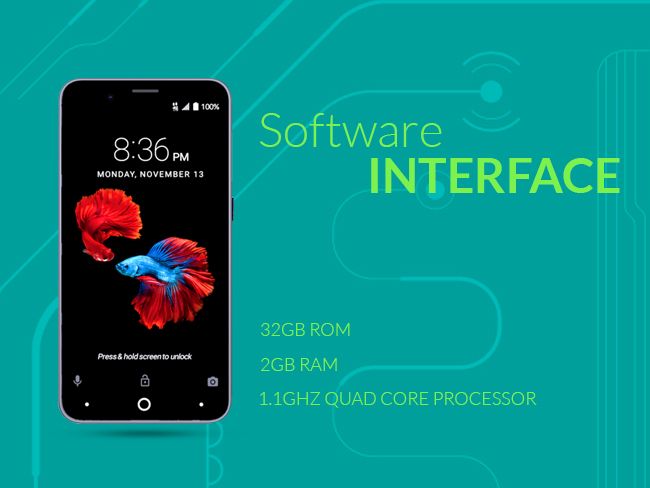 Some CDMA phones have sim slots to be simultaneously used on the 4G LTE towers of carriers like Sprint or Verizon, but it doesn’t necessarily mean this phone can work on a carrier with a GSM network that uses sim cards to work. Unlocking a mobile device is fully legalized in the US. If you are using a T-Mobile phone, they will even allow you to have your phone temporarily unlocked (for travel, etc) depending on your eligibility. Like T-Mobile, almost all carriers around the world (except those from European countries) tie up your phone’s unlock eligibility on a specific number of months that you have used up their service. It’s usually 90 days (3 months) after activation that they allow you to unlock your phone through them if you are still in a contract (postpaid). Some service providers, however, do not allow you to unlock your phone without paying your phone’s remaining device balance- if you are still in a contract. Being in a contract means they have subsidized your phone for X number of months, and this ultimately means that if you haven’t finished your contract, you will pay for the device balance equivalent to the subsidized amount on the remaining number of months left before your contract ends. 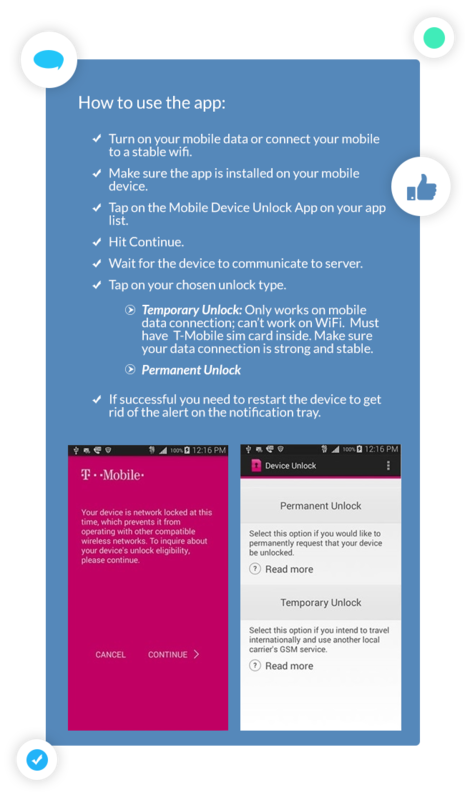 T-Mobile also has a specific set of policies regarding device unlock which we will cover in the next section. Ok, now this is probably the first tick box you have in mind and bet you already tried calling customer service, but have pleaded to no avail. Before you raise your eyebrows, let’s first go through the T-Mobile unlock requirements and policies for those who haven’t tried their luck with cx svc. 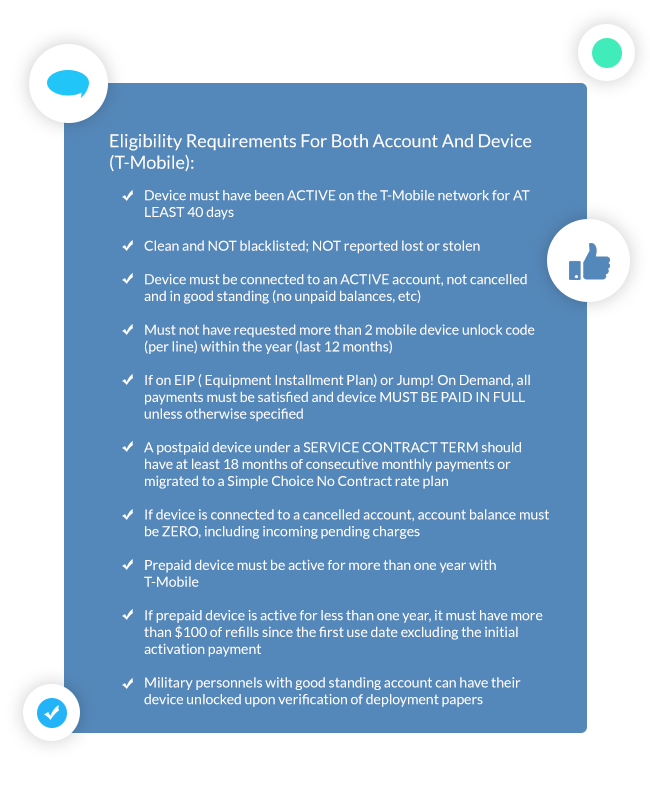 That’s quite a long list, but what we must take note is that T-Mobile does ask for the device to be paid in full for EIP or postpaid accounts. That’s one route you can go, but good news, you have another option! And that is to use a third party unlock service provider. 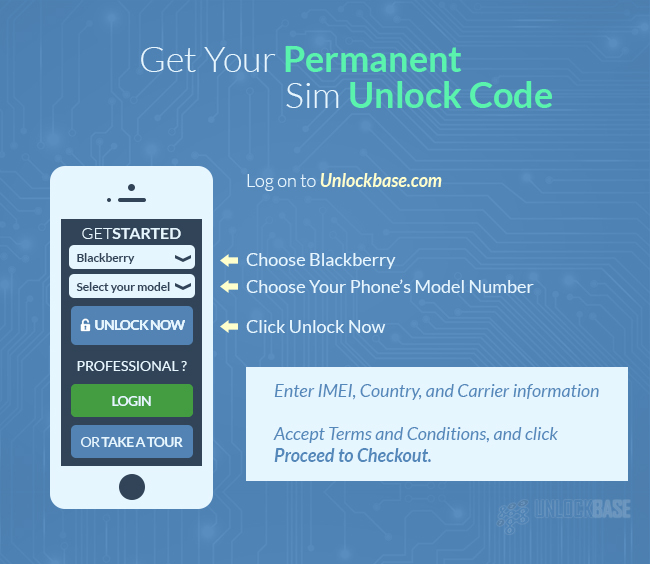 Here at UnlockBase, we help you get your unlock code quick and at an affordable rate. To make it clear once and for all, WE DON’T REQUIRE YOU TO QUALIFY ON ANY T-MOBILE UNLOCK POLICY. We have a different set of unlock eligibility requirements and we will discuss that on the latter part of this article. Going back, T-Mobile used to provide SIM unlock codes, but to avoid errors and to make things easier, they have created the Mobile Device Unlock App and pre-installed it on your phone. Let’s go through the Mobile Device Unlock App on the next section. With the Mobile Device Unlock App, you will no longer need to go to a physical store or contact customer service as the app lets you unlock your phone with just one tap. If you think your account is eligible and qualified on all the T-Mobile Unlock requirements, you will be able to request for unlock conveniently. There’s no need to enter any code, just tap and request for unlock. Easy as that. The only caveat is this app is ONLY available ON ANDROID devices. You have two unlock options, Temporary or Permanent. If you are travelling or just want to temporarily use a non- T-Mobile SIM card on your phone, you can opt for the Temporary Unlock. If your temporary unlock request expires, you will receive an expiration message. If you change your mind and want to unlock your mobile permanently, you have to wait for your Temporary Unlock to expire. If you want to Permanently unlock your phone, you can tap on the Permanent Unlock option. If successful, the app will automatically uninstall on your mobile and you only need to restart the phone to get rid of the pop-up notification. As mentioned earlier, at UnlockBase, we don’t require you to qualify for any specific unlock eligibility requirement according to the T-Mobile policies. We do have our own set of Unlock Eligibility requirements that are prerequisites prior to finalizing your unlock order. 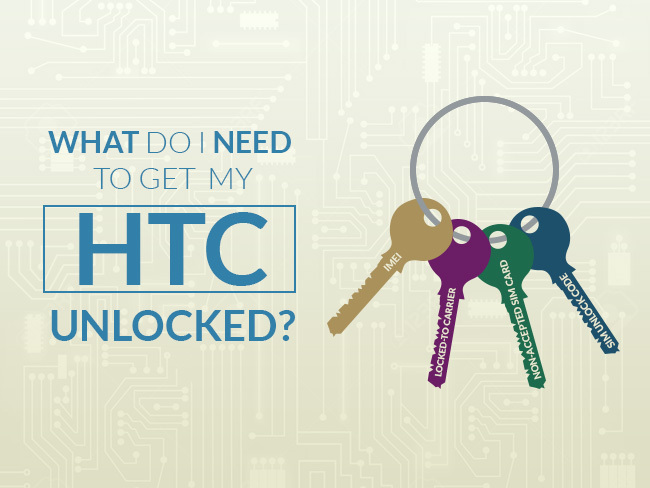 These prerequisites make sure that the unlock process will be smooth, easy, and fast. We only want to eliminate any factors that may complicate the unlock process or that may cause the unlock to fail. If you qualify to all our unlock eligibility requirements, you are assured of a refund in case the unlikely event happens and the unlock failed. For Android devices which support the Mobile Device Unlock App, we can remotely enter your IMEI on the T-Mobile server and get your phone unlocked within 3-5 business days. If you are using an iOS (iPhone) device from T-Mobile, there’s also no need to enter an unlock code. However, unlocking an iPhone is a completely different process. Go here to see how it’s done. We already have discussed how we unlock your device through the Mobile Device Unlock App on a previous blog post. 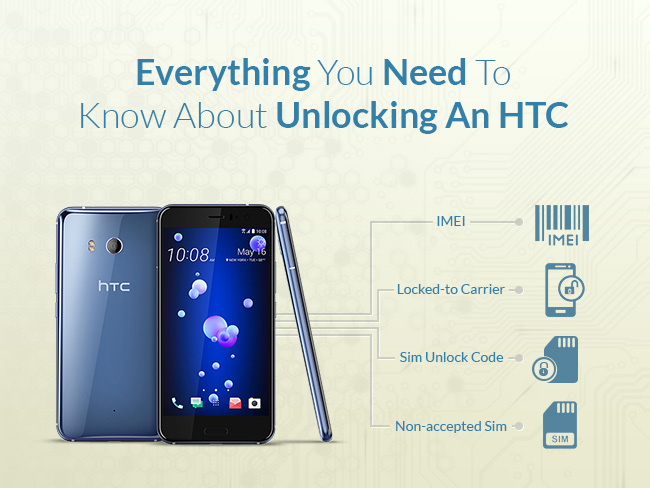 It includes the supported devices, the troubleshooting steps, and all the how-tos on unlocking your phone. 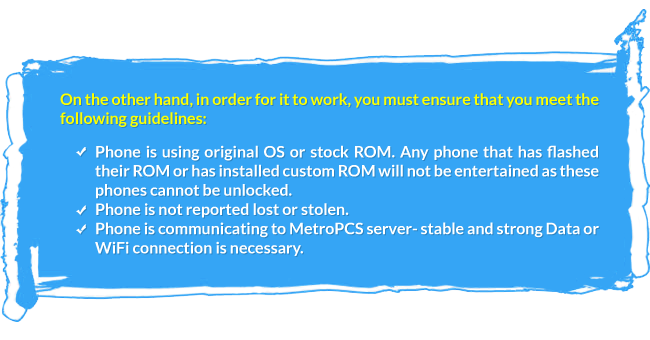 The Unlock Eligibility requirements vary per phone model (we will give you a copy of this via email before confirming your order), but to give you an idea, here’s a few of the general requirements we ask before we proceed. ✔ We can’t process an unlock unless you fix all other errors on your mobile. ✔ Make sure your phone is connected to the server before continuing. If you are getting an error that says “Server not responding, try again later”, it means your phone is not communicating to the server. Either you have weak mobile data signal or your WiFi connection is not strong and steady. ✔ Make sure your phone is running on its original software and not on a Custom OS. Rooted devices, or a mobile device that is running on a Custom OS, will not be recognized by the server and will not be unlocked. If you are ready to unlock your phone, take note of your mobile’s IMEI (International Mobile Equipment Identity). This serves as your mobile’s unique serial number and this is the only thing we will need to get your T-Mobile device successfully unlocked. To get your IMEI, simply dial *#06# on your dial pad. Go here, to start your order. Once we receive your order, we will be sending you a form through an email that enlists all the unlock eligibility requirements. Again, it varies per phone model, so make sure to follow and tick all the corresponding boxes. Sending the form back to us means that you agree to the terms and conditions stated therein. Furthermore, sending the form back to us means that you are confirming your order. 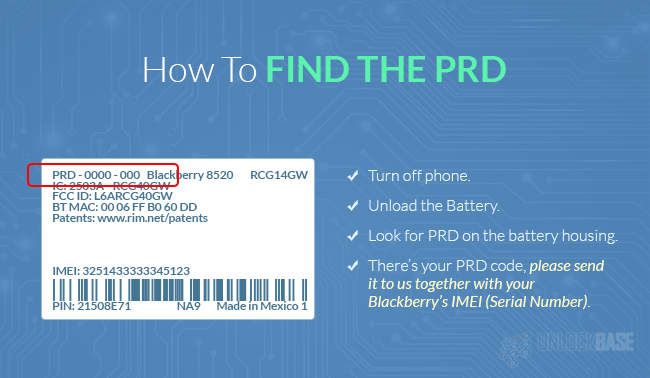 Once received, we will also send you back the unlock instructions and possible troubleshooting steps. Your IMEI will now be in queue, and since we have a thousand unlock orders per day, we hope you will comply with the 3-5 business days delivery or as the stated turnaround time on your order confirmation email. Since this is a digital service, we will not be able to refund you when you change your mind during the waiting period. All orders are considered final as we are sending them to our suppliers as well. 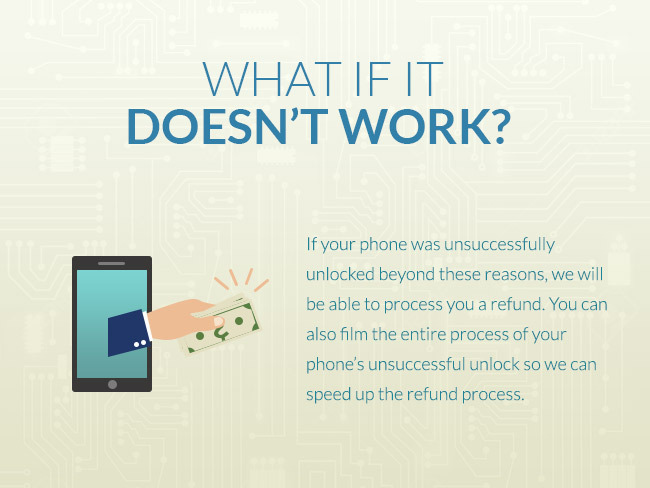 Should the unlikely happen that your device was not successfully unlocked, and provided that the circumstances are outside the Eligibility requirements we have agreed upon, we will refund you 100% of the money that you paid for the service. We will try our best to provide you support and answer your questions immediately during the unlock process. Our tech and customer service team are ready to help you 24/7. If you find yourself lost or confused during the unlock process, don’t hesitate to shoot us an email. Unlocking a T-Mobile Android device is pretty easy and straightforward. Through the use of the Mobile Device Unlock App you can now unlock your phone with just one tap. 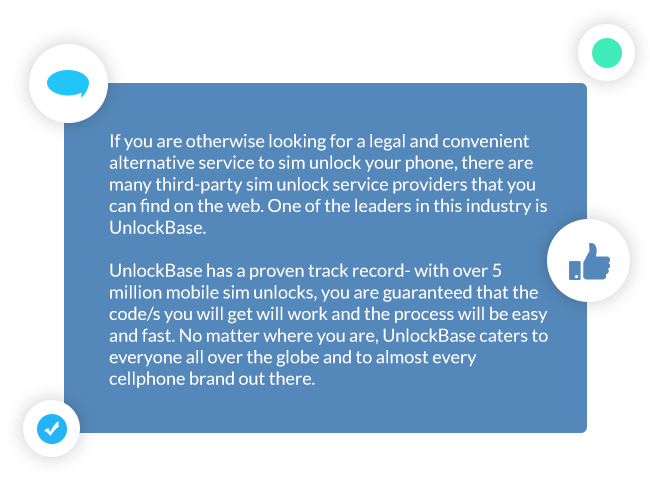 Easy, fast, and convenient – UnlockBase can help you with all your mobile unlock needs. Do you think we missed something? Please tell us on the comments section down below. 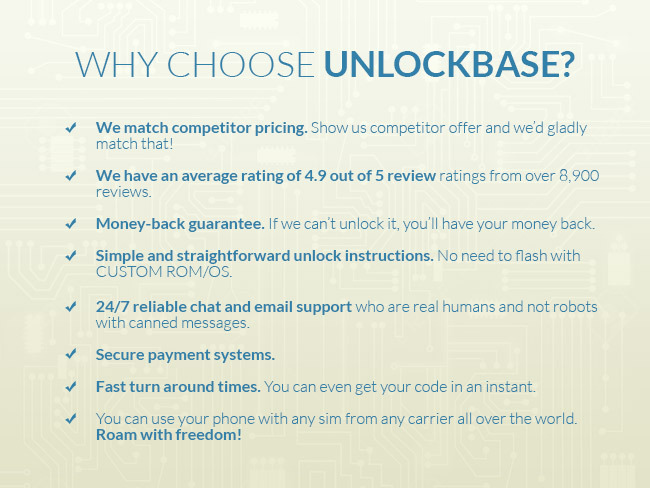 Hi, welcome to UnlockBase! We are one of the first and most trusted mobile unlock service providers and we unlock any mobile device from all over the globe! Our expertise of over a decade will provide the solution to all your mobile unlock needs and challenges and today we will discuss one of the most common unlock issues, and that is a hardlocked phone. If you are here because you discovered your phone is hardlocked or if you suspect it is, then you’re in the right place. 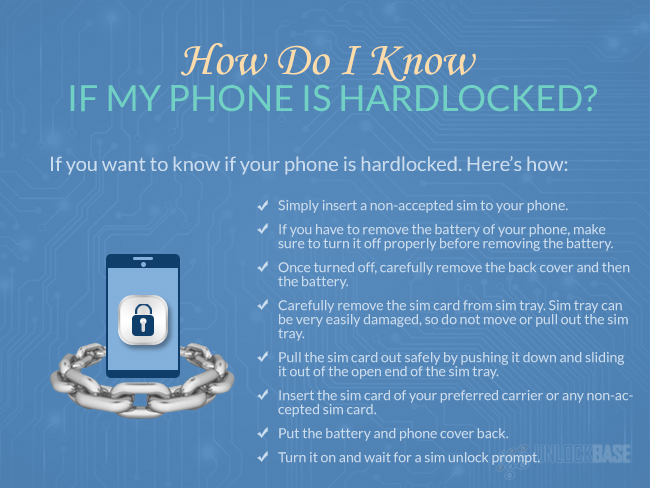 Let’s first unfold the meaning of a “hardlocked” phone, the circumstances that result to it, and how to know if a phone is hardlocked. Hardlocked, as a technical term, means that your phone cannot be SIM unlocked anymore. If you got your phone from a service provider through a postpaid contract, your phone is likely to be SIM locked to them. This means that you can’t use any other SIM in your phone apart from which that came from your current service provider. Normally, it is allowed to SIM unlock your phone once you are off your 2 or 3 year postpaid contract. However, if your phone is already hardlocked, you wouldn’t be able to SIM unlock it anymore. 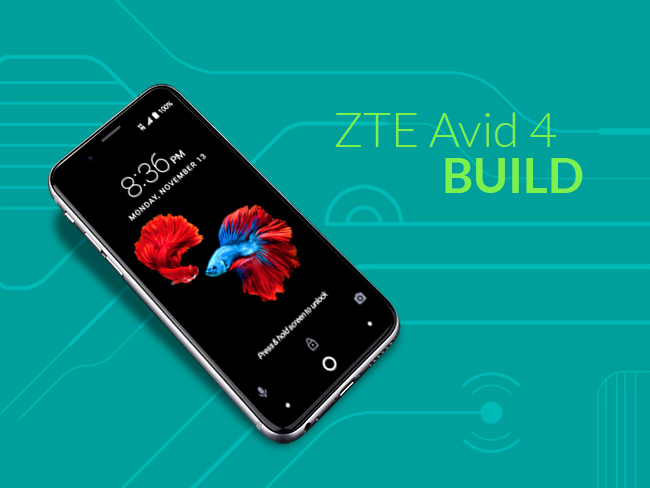 On the other hand, if you bought your phone directly from the manufacturer your phone is by default, factory unlocked and can be used with any carrier all over the globe, as long as it can work with their network. Note that, a phone designed to be used for a GSM network won’t be able to work with a CDMA network. So, make sure that your phone is compatible to the network type of the service provider you want to switch to. How Do I Know If My Phone is Hardlocked? 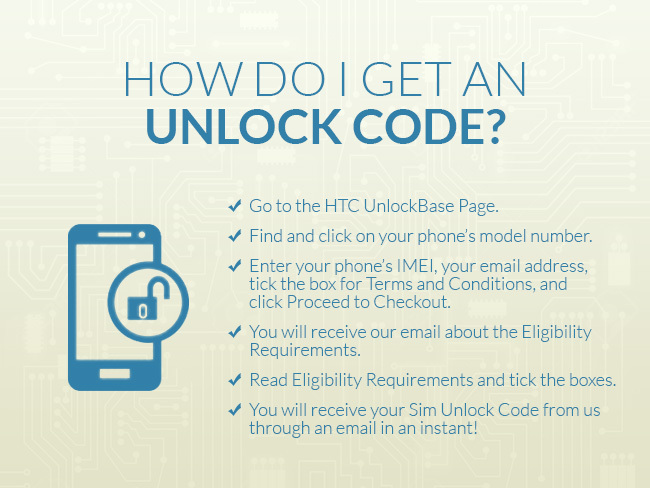 First thing you have to check when unlocking your phone is its unlock eligibility. 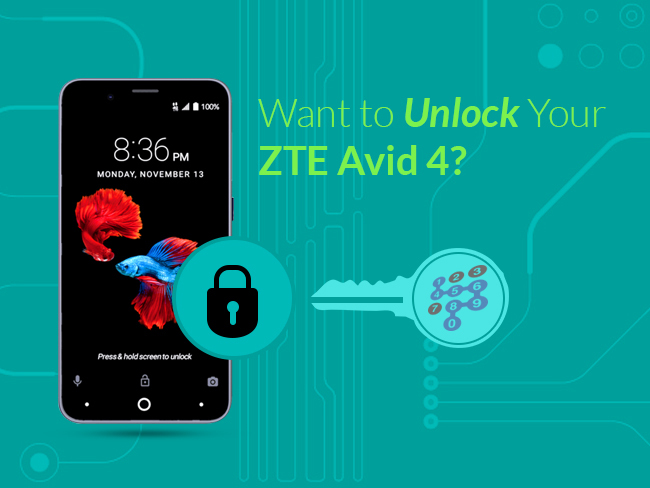 It’s important for you to check whether your phone is already unlocked or hardlocked, because this helps us determine the right course of action and it also guarantees your refund. Simply insert a non-accepted sim to your phone. If you have to remove the battery of your phone, make sure to turn it off properly before removing the battery. Once turned off, carefully remove the back cover and then the battery. Carefully remove the sim card from sim tray. Sim tray can be very easily damaged, so do not move or pull out the sim tray. Pull the sim card out safely by pushing it down and sliding it out of the open end of the sim tray. Insert the sim card of your preferred carrier or any non-accepted sim card. Put the battery and phone cover back. Turn it on and wait for a sim unlock prompt. There are older phone models which do not greet you with a SIM unlock prompt if you insert a non-accepted sim. If you don’t see a sim unlock prompt, check if you are getting signal bars or if you can make a call. If you can make a call or send a text message successfully with a different sim then, your phone is probably SIM unlocked. On the other hand, if your phone isn’t receiving a signal or if you can’t make calls or send a text message, then it’s highly likely that it is still SIM locked. Note that this is just one probability, as mentioned earlier, your phone won’t be able to pick up a signal from a carrier that isn’t compatible to it. You can rule out this possibility if you ask your new/target carrier their network-type and if your current phone model can work with them. 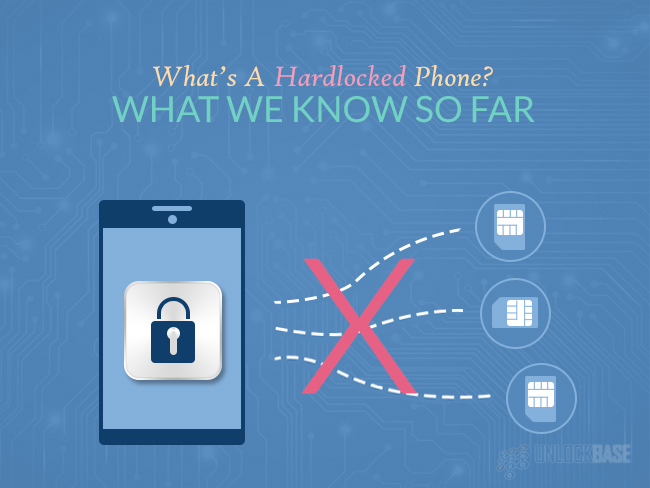 What Makes a Phone Hardlocked? A Product of your own doing. Mobile manufacturers all over the world have specific agreements with mobile communication service providers. 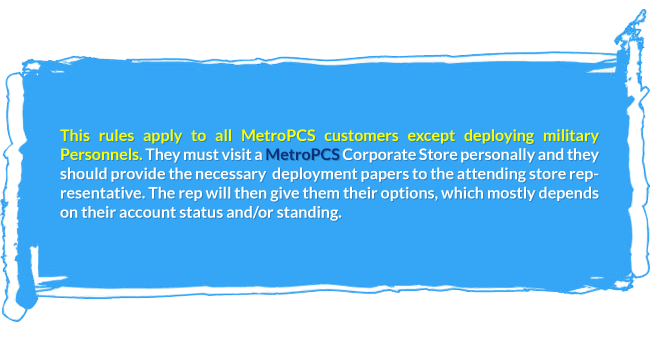 Some of these agreements meant that your phones must be used exclusively by the vendor or the mobile service provider. This is the reason why some phones can’t be SIM unlocked because there was no way to do so. On the flip side, these hardlocked phone agreements are no longer allowed in most countries as government laws are being tailored to address the needs of the masses. By being able to unlock your phones, you are being given the freedom to choose your own provider and thus the mobile industry is made more flexible and the service providers provided competitive prices. Now, if your phone falls on the latter category, your phone will only be eligible for unlock if your carrier allows you to enter a sim unlock code. 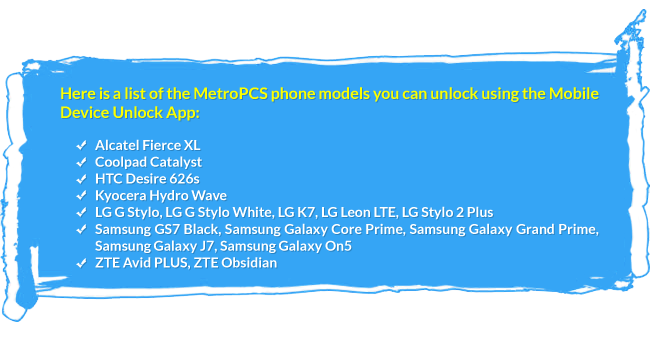 If there’s no way you can enter an unlock code, then your phone must have a different unlock method such that of T-Mobile and MetroPCS where a Device Unlock app is installed and needs no code to be unlocked. On the other hand, if you can’t enter the unlock code because your phone restricts you to do so, it’s probably because you entered the wrong code too many times and used up all the unlock attempts. 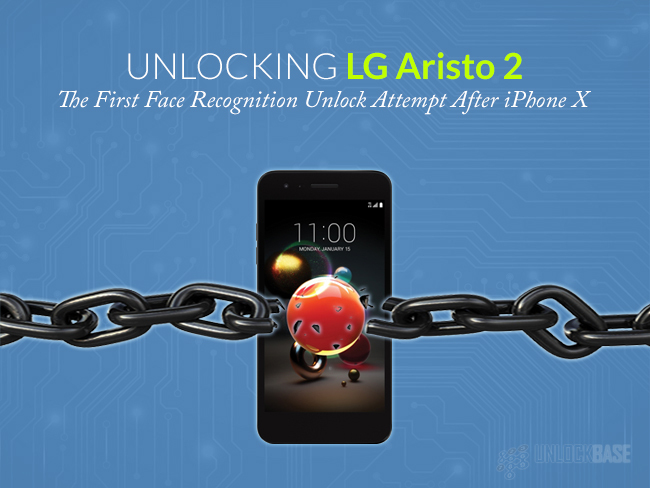 Using up all your unlock attempts is one of the main reasons why your phone could be hardlocked. If you ever thought of trying your luck and enter random digits on that sim unlock prompt, always make sure you don’t run out of chances. If you otherwise had the phone as a gift (hand-me-downs), or if you bought it online, you can ask the previous owner if they tried doing a SIM unlock before. Simple details saves you time and, of course, it sets expectations correctly. 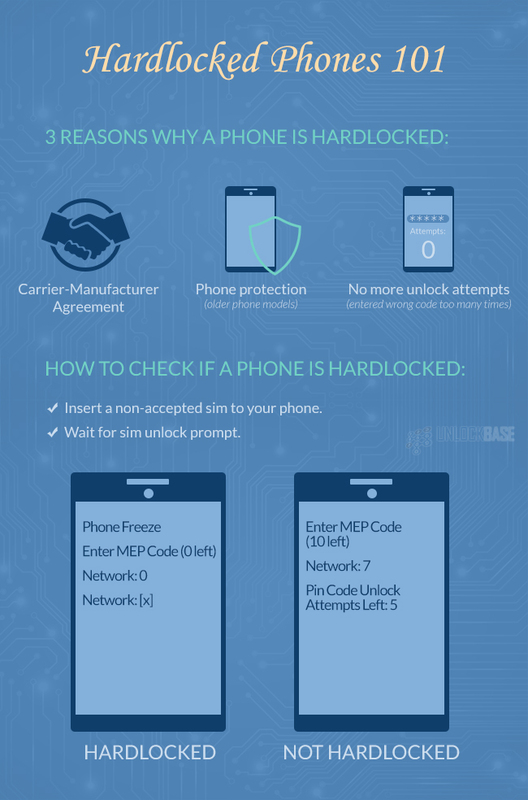 Although, our team here at UnlockBase would want to help you with a hardlocked phone, it’s most likely going to end up still locked. 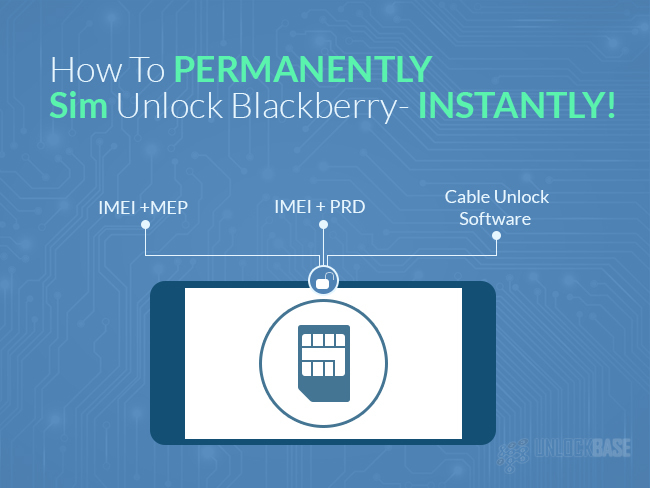 We do have other methods of unlock that don’t need code entry, such as the Cable Unlock Software, but we still need to confirm the unlock eligibility of your phone as this method doesn’t work with hardlocked phones. If you pursue to try unlocking your phone even after confirming it is hardlocked using our services, we won’t be able to guarantee that it will be SIM unlocked successfully and this will also disqualify you of refund. 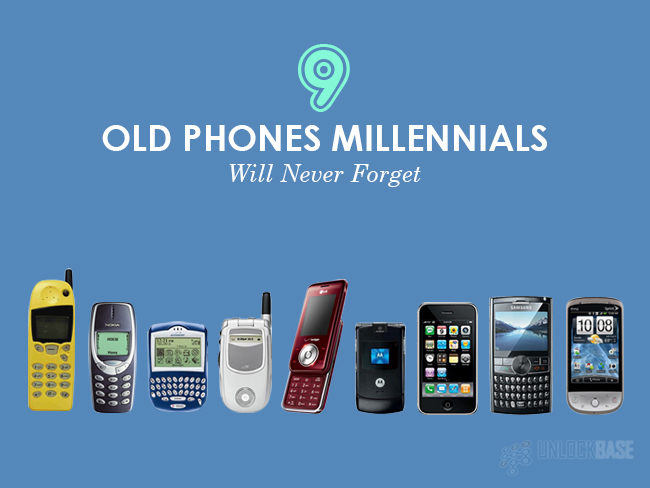 If you are a #Millennial you have certainly witnessed the mobile evolution right before your eyes. Childhood days were the start of a booming mobile technology and we’ve seen how the Teletubbies antenna was used by Nokia to help our parents’ phones get a signal to send a text message. You’ve also probably knocked some of your toes with the same Nokia phone when you dropped it on the floor. It’s hilarious these phones are so heavy that they dent the floor instead of breaking or getting scratches. It’s also funny to think that despite how Motorola, Nokia, Samsung, and Sony changed their shapes, colors, and technology, Apple stayed the same and just changed sizes! There were other minor changes of course, but nothing drastic really changed for Apple on the outside. So much about that, let’s go through the 9 most epic mobile phones of your childhood you wished still looked cool ten years later. We all know Nokia 5110 was one of the sturdiest phones ever created. You could throw it to someone’s face and get them injured. That’s how big, chunky, and sturdy they are! Nonetheless, we all love the colors which, as mentioned earlier, made them really looked like they are the Teletubbies. Not to mention the love-hate relationship we had with the antenna. This phone will always be part of every #millennials childhood because of its playful colors and replaceable casing. I’m sure you’ve had at least two Nokia 5110 casing on its entire lifetime. Changing those casings were like dressing up a doll! And oh, the nostalgic monophonic Nokia Tune! And oh, the nostalgic monophonic Nokia Tune! Buying yourself a phone on that era probably cost a fortune, because just like now, mobile phones continue to be a sign of social status and sophistication. Oh what fun would it be to unlock your Nokia 5110 now and use it for a show? 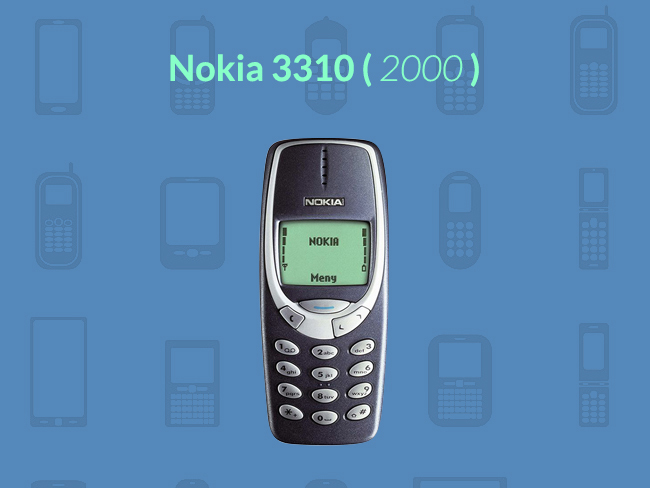 It’s going to be a #NokiaNostalgia ! Every single millennial kid out there would agree Nokia is part of their childhood. 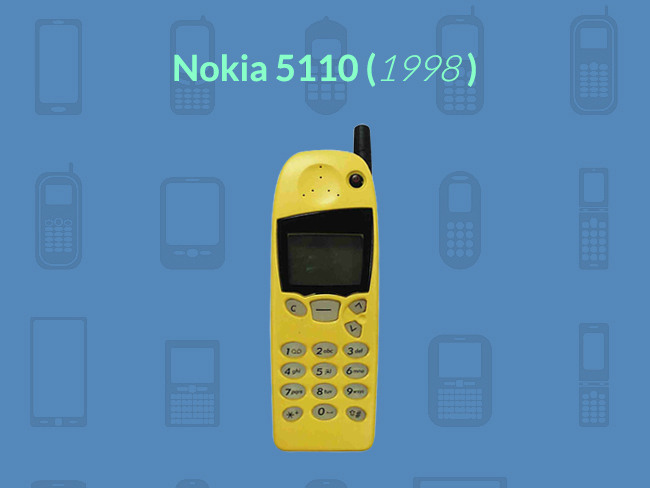 In fact, we can say that Nokia once ruled the mobile world because at a particular point, they were able to sell over 126 million units worldwide! We’re talking about a time when only the first world countries had convenient access to the internet and when mobile phones were only called Nokia – the golden millennia 2000. Of course, there were other phone manufacturers, but Nokia trumped them all worldwide. Motorola, Blackberry, and HTC already existed at this time. 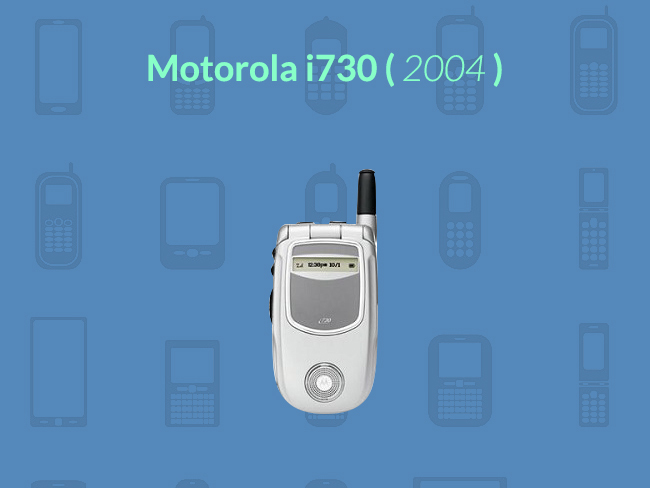 Technically speaking, Motorola started the mobile phone technology but at that time, it was Nokia who was killing it (even in third-world countries). Snake was one of the most popular (if not the only) mobile phone game at the time. I can only imagine the frustration of a game over when your Snake ate its own self! It was also this time that the phones had customizable names and welcome messages (which you probably changed every time you get a new inspiring quote from your teacher). Nokia also made it more fun when they allowed users to edit the ringtone and make it sound like your favorite love song – Right here waiting, Two Less Lonely People, etc. Agh, there were so many things you can do if you loved music and if you loved playing around. 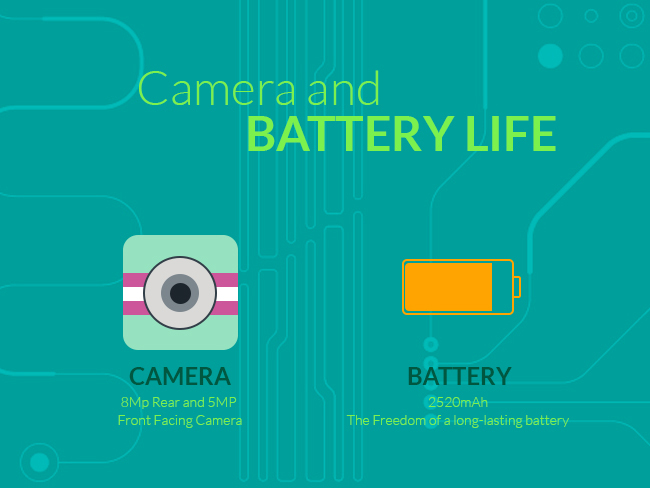 And of course, we would miss the time when we never actually run out of battery even for 2 days! I’d gladly unlock my Nokia 3310 any time of the day, only if it is still a cool option as a backup phone when I’m travelling! 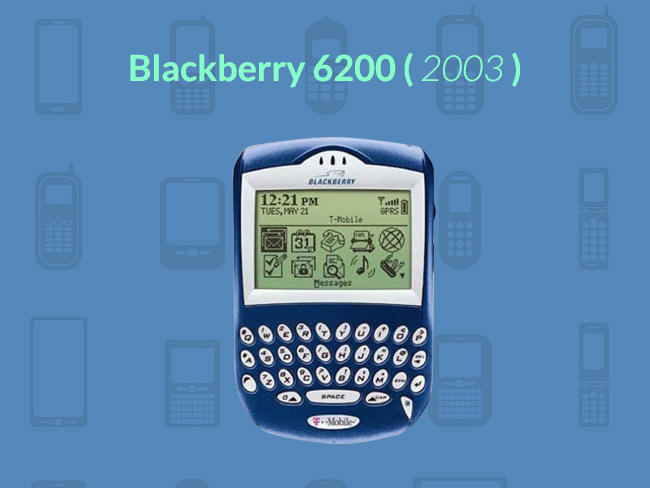 If you didn’t knew, Blackberry had been rocking the mobile industry ever since it started. And since then, they didn’t appeal to the wider audience but to those who are in the business niche. It’s a rather small niche but they were successful in ruling it. Just like the saying, “it doesn’t matter if your the best, it matters if you’re the first,” (I’m sure I heard that somewhere). Speaking of being first, it is also the first to have an email-centric approach, so yeah, you’re Mom and Dad probably spent a fortune to have the convenience of a Blackberry. 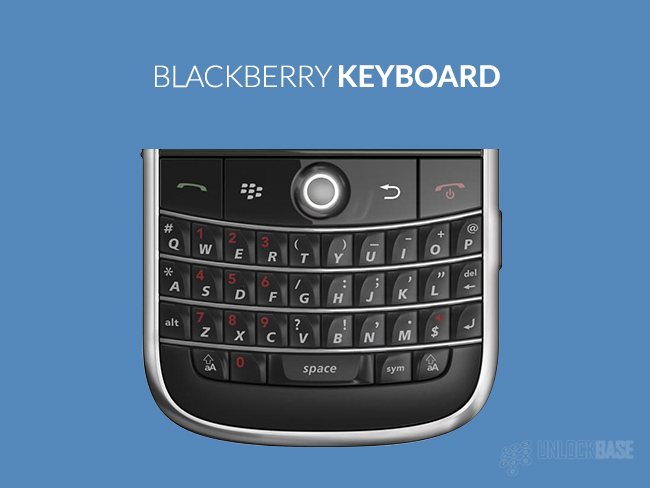 It’s funny because Blackberry made the impossible possible, quite literally, in putting a full QWERTY keyboard, which you only see on your lengthy computer keyboard at home. Nonetheless, this made Blackberry stand out from the crowd of mobile phones which are fighting for a generic market. This phone was also the real thing because it had a true GPS functionality. You can’t get lost with this while travelling can you? This feature makes this phone the ultimate travel companion since Qualcomm said they developed and tested the GPS assisted tech to locate the user within feet from their actual location (mindblown). Qualcomm really made stalking easier for the government or any other entity for that matter. Just great. Anyways, getting stalked can be done in just a matter of seconds nowadays. You can’t deny the fact that you’ve stalked at least one person’s social media account (aight?). After all, isn’t that what it’s made for? This phone will literally make you want to lick it to bits. 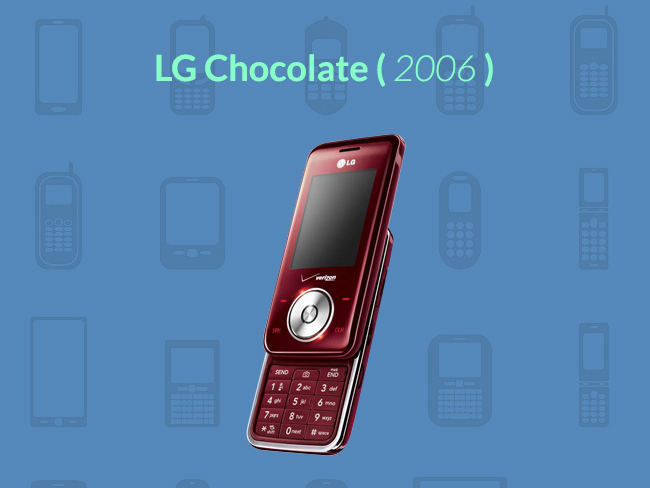 LG Chocolate really looked like a chocolate bar with a keypad and a screen. How did you manage to not bite it when you’re craving for a chocolate? The LG Choc***** came in different flavors, err, colors. In the US there are four different colors which are: (1) Light Green for Mint Choc, (2) White for White Choc, (3) Pink for Strawberry Choc, and (4) Red for Cherry Choc. 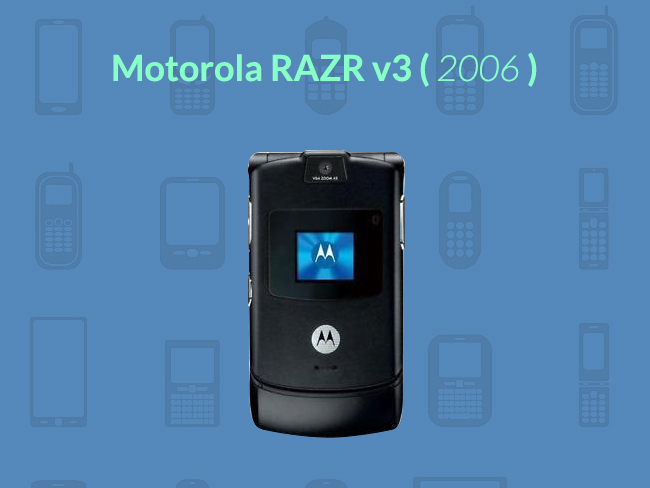 Motorola RAZR v3 is one of the phones which are truly to die for during 2006. I can guarantee you that’s without exaggeration because this particular Motorola is looking so lovely and sleek- it totally slayed all the other flip phones during its time. This flip phone was thin and lightweight, however, this meant this phone is going to break once you drop it. This started the era of classy phone cases to keep the phone from scratching or at least give an extra layer of protection. This year was truly fun and amusing for mobile phones because you can get neon-colored leather covers and pastel colored cases. Remember how it looked so cool to flip open your phone when someone calls? However, this was also the era when phones became so fragile and break so easily. On the lighter note, this year became the best year for Apple and it changed the mobile history since then. 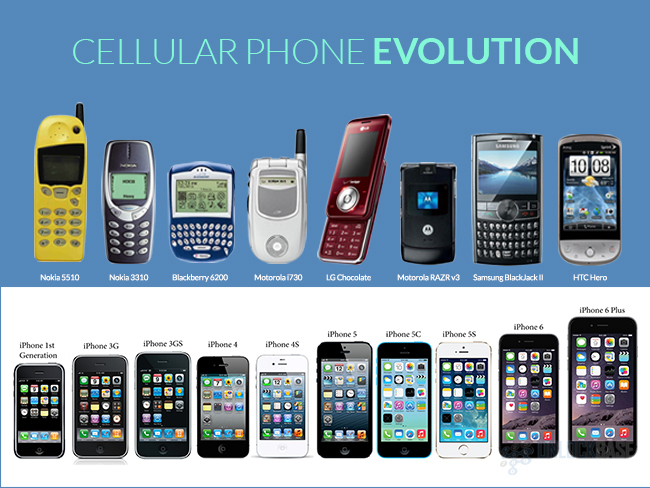 There’s a saying that if iPhone divided the history of mobile; Before iPhone and After iPhone. Being a teenager during the time iPhone was born gave every millennial the capability to tell the history of iPhone since 3G up to iPhone X, simply because you were there and you experienced every single change firsthand. And mind you every millennial knows the accurate reason why it’s called an iPhone. So why? It’s not my Phone, it’s not your phone either. It’s iPhone. Duhh. 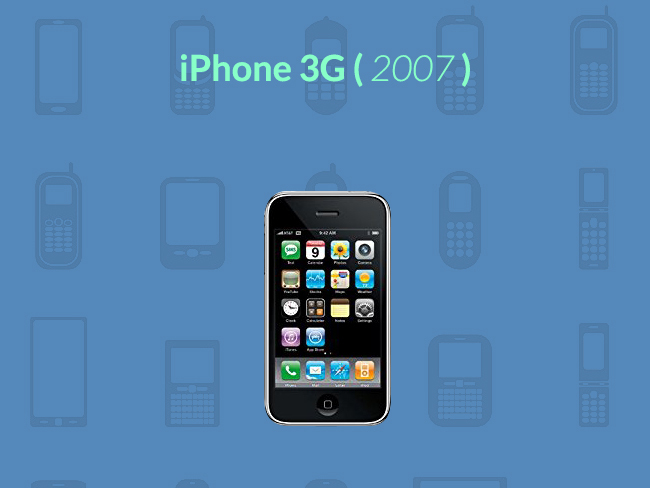 Ever since the iPhone 3G, companies like Samsung, Motorola, HTC, Blackberry, had to up their game as well. First of all, the design of the iPhone looked like it came from 50 years after compared to all the other phones which existed at that time. Although, the price of an iPhone is arguably more expensive compared to other phones, it made Apple a symbol of sophistication and even wealth! And still, over a decade later not everyone can afford a flagship iPhone. Steve Jobs really did a good job at making our teenage years extra cool because of the iPhone, the iPod, and the iPad. 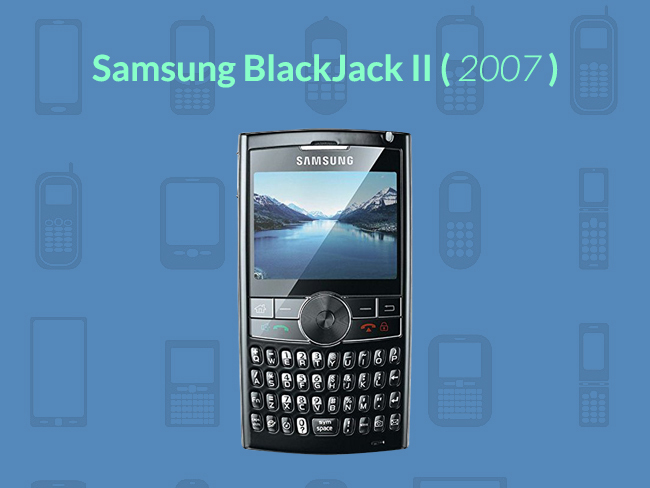 2007 was really a bad year for Samsung, especially for the Samsung BlackJack II. This was supposed to be an awesome year of cellphone designs but here comes Apple raking all the attention. It also had this sophisticated Blackberry look with a spinning jog wheel which was a huge plus at that time. Remember when you hated the 4-sided Ok and navigation button because it sounded on every click? IMO, this phone would’ve been a huge hit had the iPhone 3G released a year later, but I guess Samsung’s timing wasn’t that good. Nonetheless, it continues to be iPhone’s closest competitor. 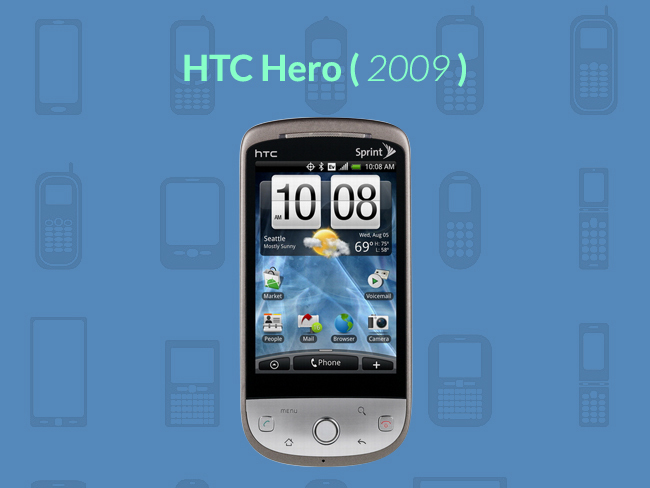 This is HTC’s third shot at making phones, and well, HTC Hero didn’t disappoint. This phone is so peculiar because you don’t normally see a phone with a chin (curved bottom). It adds a lot of novelty and it’s obviously making people curious. It was a good fit for an average hand and who wouldn’t like how convenient it was to your fingers to press those buttons at the lower part of the phone? We were used to always adjust our hand and fingers to the phone, but this time HTC figured out how the phone can also adjust to how our fingers and hands are made. It also had an awesome trackball to avoid the disappointment of Android fans. It had the back, home, and search buttons conveniently at the curved edge for your chubby hands to easily access. For the industrial design alone, HTC already won the hearts of all Android fans. There you have it folks. If you have that #Millennial vibe in you why don’t you sport your old phones and have fun with it? For sure, it’s going to create a lot of fun and nostalgic conversations among your friends. It is also cool to show off your childhood gadgets once in a while, so why don’t you give this a go? By the way, if you plan on making your phones fully operational with a different network, you can have it SIM unlocked. It’s super affordable and convenient, and of course, it’s going to bring new exciting memories. 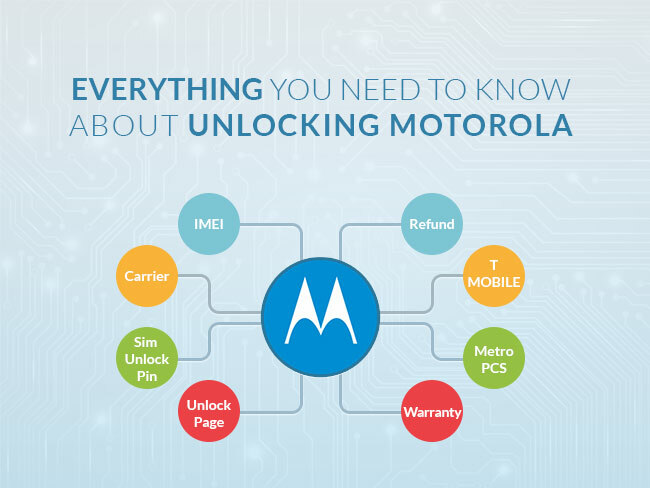 Unlocking your Motorola? You’re at the right place. 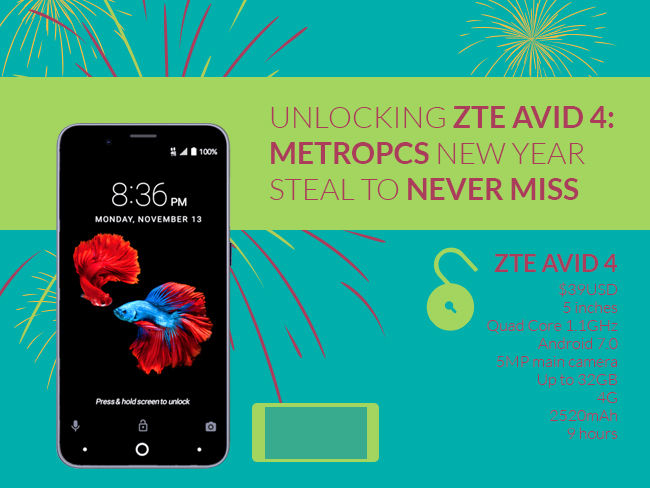 We offer the lowest available price for unlocking your Motorola phone and the least turn around time as well! 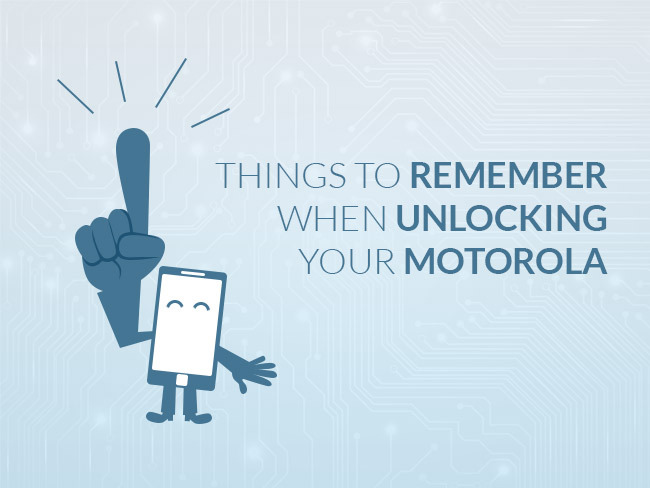 If you are interested on how to permanently unlock your Motorola phone, please read on. 1. 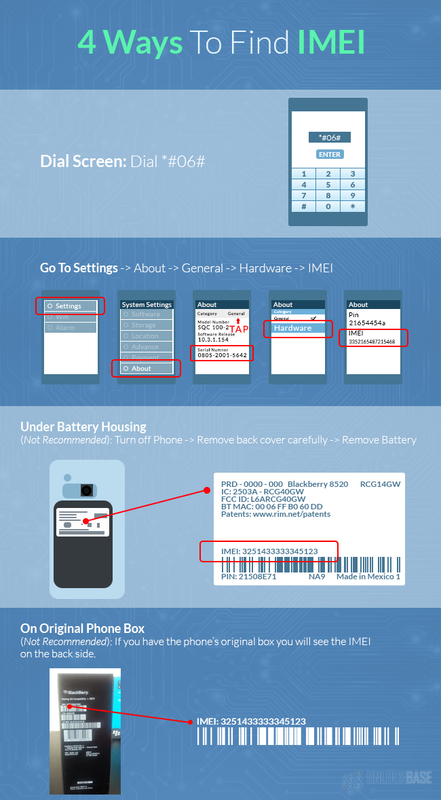 Jot down your phone’s IMEI or serial number. You can get this by simply dialing *#06# on your phone. You can also get this by going to your phone’ Settings. Just hit About Phone> IMEI. 2. Know your phone’s tied-up carrier. If you’re owning a second-hand device, ask the previous owner which carrier it was first connected. If you bought it online and can’t get ahold of the first owner, you can take a look at the box or at the back cover of the phone for you to check for the carrier. Also, upon the phone’s boot up you will also probably see the logo of the carrier before or after the logo of the brand. 3. 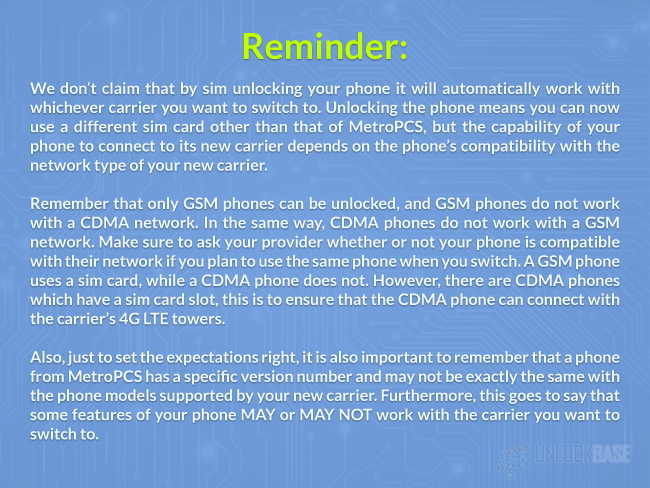 Before unlocking your phone, make sure that your phone is compatible with the carrier’s network. Some networks run CDMA and some networks run GSM. Ask your carrier to know this. We will not refund you if your phone’s issue is incompatibility. 4. Make sure your phone still has remaining unlock attempts. To know this, you can try to insert a different/non-accepted carrier SIM in your phone and wait for it to boot up. Once the screen is already boot up you will see a screen prompt asking for a “SIM Unlock PIN” or “Enter Special Code“. In case your phone is not prompting for any of these keywords this is probably because your phone is already “Hard Locked“. It could be probably because you have tried entering the wrong code multiple times and it’s not letting you to enter any code anymore. If this is the case you can wait for a day or two for it to refresh. Once it’s fully refreshed, you can see the prompt for the unlock code again. Otherwise, your phone is probably already hard locked. If you however, proceed on your order without confirming its unlock eligibility you will not be able to get a refund. 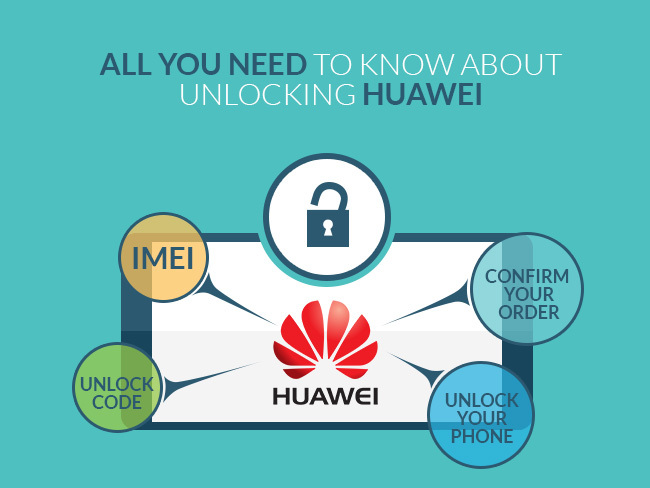 We cannot unlock hard locked phones, although we are sure that the code we have created will definitely work had your phone allowed you to enter the unlock code. 5. 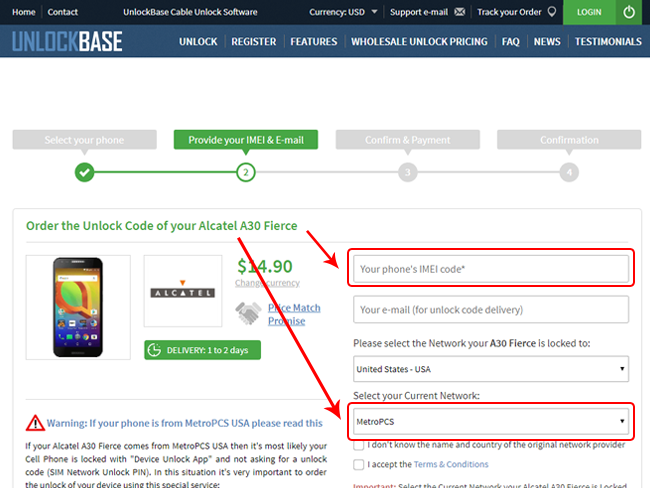 If you are ready to unlock your phone, you can now proceed to the UnlockBase Motorola Unlock page. Choose your phone’s model number from among the list and then you will routed to another page. Enter your phone’s IMEI and the necessary information to proceed. 6. Wait for our email confirming your order. It will also include the details and the turnaround time for us to create the unlock code and send it to you. It will also include the Refund Eligibility Requirements page which will be the contract agreement before you confirm your order. Make sure to read all the instructions first before ticking the boxes. 7. If this is your first time to unlock your phone online, you can read: A Complete Guide on How To Unlock Your Phone Online and Do It Right the First Time. This will provide a complete narrative about how-to’s and most importantly, it covers our Refund Eligibility Requirements which will protect both of us should the unlikely event happen like when your phone is not unlocked. 8. If your phone is from T-Mobile or MetroPCS, you don’t need an unlock code to get your phone unlocked. You can now permanently unlock your phone through our Mobile Device Unlock App service. We can remotely enter your phone’s IMEI to your carrier’s database. Once it’s entered to the database successfully you can now proceed on the actual unlock process on your phone. 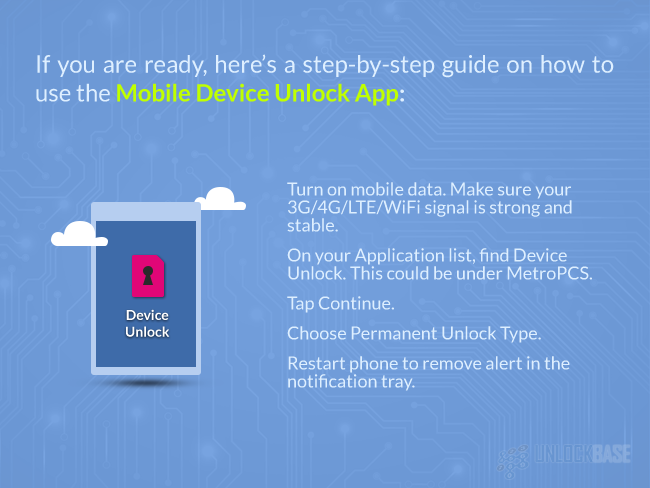 You can read more about the Mobile Device Unlock App for your guidance. 9. 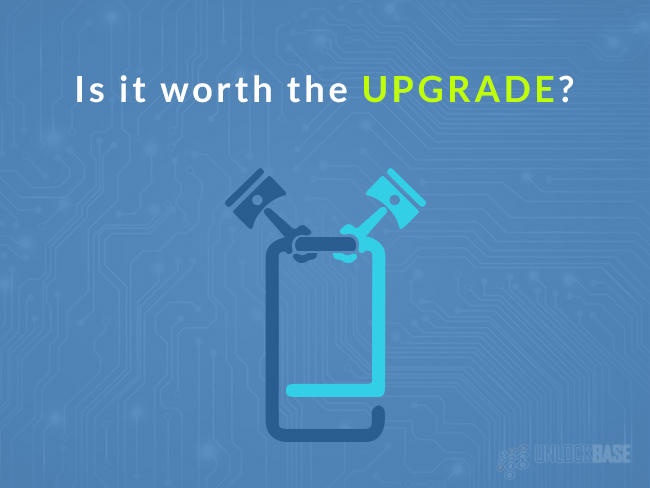 Your phone’s hardware warranty will not be voided if you are going to unlock it with us. The process that we do is the recommended process by your hardware manufacturer. We will not modify your phone’s software in any way, we are merely just removing the lock that came from your carrier. If you already received the code from us, please read and follow all instructions carefully. You will be given a set of codes, so please enter the exact code your phone is looking for. Insert a non-accepted SIM to your phone. Turn your phone ON. Wait for it to fully boot up. 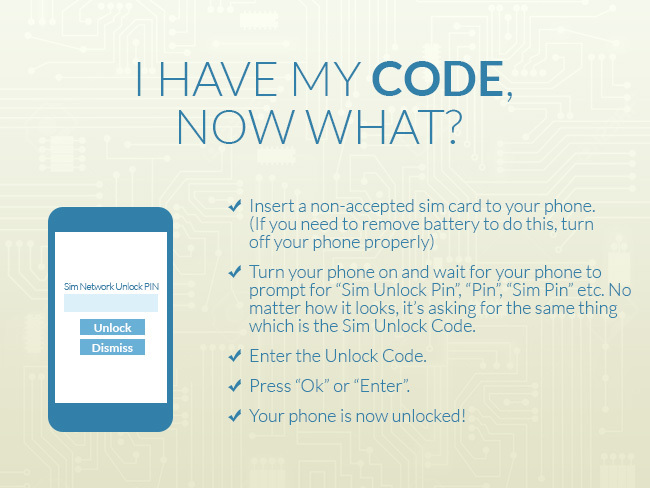 Your phone will prompt for a “Sim Unlock Pin” or “Enter Special Code”. Wait for phone to load home screen. Signal bars will start showing up. If you need to restart your phone, restart it to refresh. ✔ We have 24/7 chat and email support that can cater your questions at any time of the day. 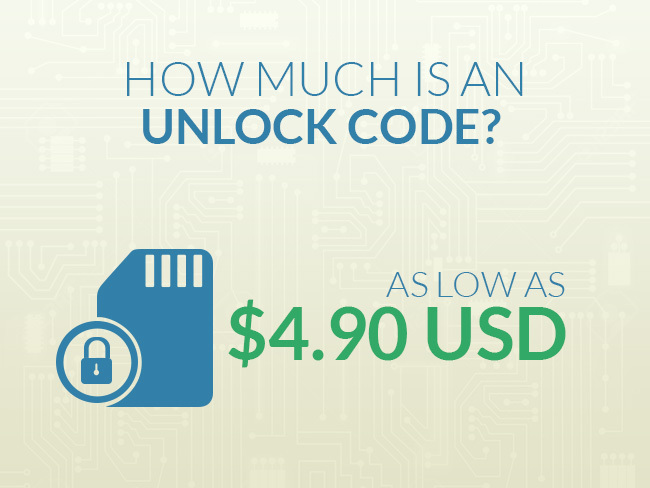 ✔ We provide the easiest unlock methods, no matter the brand, no matter your phone’s carrier. You don’t need to ship your phone to get it unlocked. ✔ No need to flash your phone with any software. Your phone will never lose its manufacturer warranty. 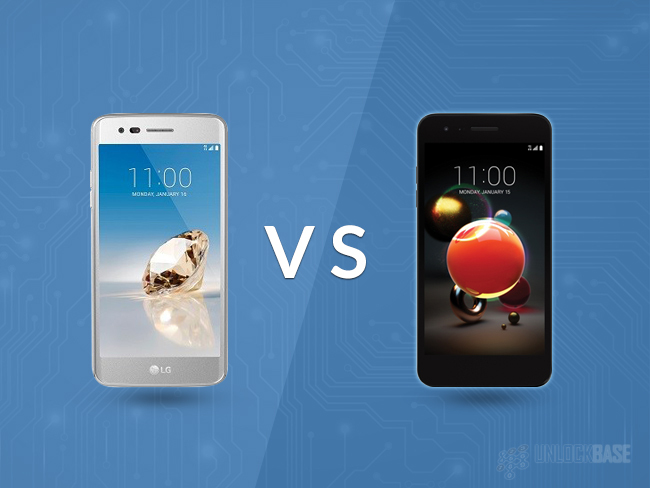 Our unlock method is the recommended unlock by both carriers and manufacturers. ✔ You can use your phone with any carrier all over the world. You will not be locked with one single sim for the rest of your life. ✔ We have a review rating of 4.9 out of 5 in over 8,000 reviews. ✔ We have secure payment systems. ✔ We will offer you a refund if all requirements are met. 100% customer protection. ✔ We have the fastest turnaround times. No more long waits. You can get your code in an instant. ✔ We work with many suppliers and manufacturers all over the world. No matter where you are, you can reach us. ✔ We match competitor pricing. We offer the best pricing for unlocking your phone. Retail or single unlock orders unlock starts at $4.90. ✔ It’s simply EASY, FAST, & CONVENIENT! 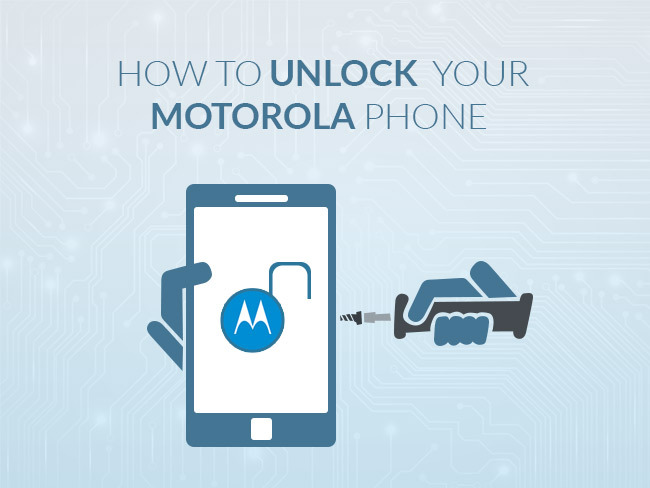 Unlock your Motorola phone NOW!